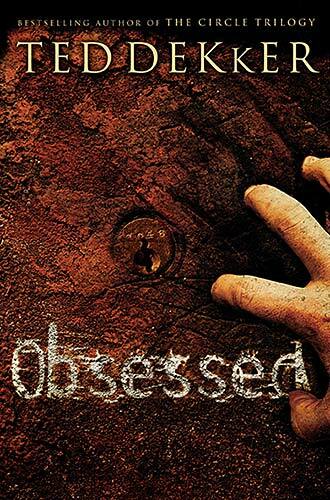 Obsessed, a novel by Ted Dekker, was published in the year 2005 by WestBow publishing company. The novel centres on events that took place at the time of the Jewish Holocaust. Themes such as courage, determination, sacrificial love, and of course Obsession, were covered. Dekker presents this story by switching between 1973 and 1944 to project both past and unfolding events in the characters’ life. The storyline goes thus: Stephen, later referred to as David, is a young real estate agent based in the United States with his foster Father, Chaim (also called Rabbi by Stephen). He later finds out about the death of his biological mother Rachael (real name Martha), a survivor of the Holocaust and also one of the richest Jewish women in the United States at that time. Her death sets off the exposure of several things to Stephen including events that occurred during the Holocaust and the story about his birth. The familiar but depressing era of Nazi Germany and the second World war forms the backdrop: the Jews are being rounded up by the Nazis; Many of the Jewish men are executed immediately while the women are sent to death camps. One of such camps has in it a bloodthirsty German commandant called Gerhard, whose cruelty is horrifyingly mindless and grotesque. His little son, Roth Braun is a steady visitor of the camp, also partaking in his father’s blood drinking ritual. In that same camp are two women, Ruth and Martha (also known as Rachael), who arrive the camp already pregnant. Other women in the camp are terrified for these women’s lives; most pregnant women were sentenced to instant death. But against the norm, Ruth and Martha are allowed to live by Gerhard on the condition that their babies will be left with him after the war. A few days after Ruth is delivered of her baby girl Esther, Gerhard’s red scarf, a symbol of death, is seen on Martha’s bed- Martha and her unborn child are condemned to die. However, Ruth decides to hand her baby over to Martha while taking the scarf from her. This sacrifice is driven by Ruth’s belief that their children are the true “Stones of David” and saviours of the Jews. This act makes little Braun (Roth) see his father as a weakling and promises to restore his father’s power by killing Martha, her son, and little Esther in future. Martha on the other hand who gives birth to a boy named David, becomes a personal servant to the commandant because of Ruth’s sacrifice, and is separated from her son because men are not allowed in the camp. After the war ends, Martha runs away from the camp with Braun’s loot and precious stones of David (the stones were assumed to be the ones selected by David to slay Goliath). This makes her the most wanted person on Gerhard and Roth’s list. She relocates to the United States but changes her name to Rachael for security reasons. She never contacts her son, just to keep him safe from their predators, Gerhard and Roth, until her death. The author likens Gerhard and Roth to Lucifer, the god of this world, while Ruth represents the sacrificial love of God. He also portrays obsession as a virtue that is easily exhibited by God and man: God’s obsession with man; Lucifer’s obsession with Himself; Humankind’s obsession with God on the one hand and with themselves on the other hand. Most of the characters exhibit this too. Gerhard was obsessed with power and wealth, Chaim was obsessed with his faith and in getting Stephen (David) a good Jewish wife, Ruth and Martha were obsessed with keeping their babies, David and Esther and making sure they get married in future. Stephen (David) was first of all obsessed with knowing his background; when he discovered his mother, he became obsessed with her existence, her wealth, and later, with the stones of David and finally with his betrothed Esther. It was the Jew. Stephen. What was he saying? Roth turned around and stared at them blankly. “You’re drunk on your father’s blood, so you may not realize it yet, but you have a very significant problem,” Stephen said boldly. Too boldly. “Your plan to harvest souls in anguish has failed.” Roth’s mind started to clear. The Jew was trying to sabotage this glorious evening! “You have not killed our hope, you can’t”…this couldn’t be! He couldn’t hang them while they were in this frame of mind. It will undermine his whole plan. Anguish! He had to return them to a state of anguish. This could be likened to the devil’s plan for us, to be sorrowful in our travails. However, God’s word for us is to be strong, cheerful and to have faith in him because He has overcome the world. Dekker’s final note was culled from Matthew 13 Vs. 44- 46: Again, the kingdom of heaven is like unto treasure hid in a field; the which when a man hath found, he hideth, and for joy thereof goeth and selleth all that he hath, and buyeth that field. Again, the kingdom of heaven is like unto a merchant man, seeking goodly pearls: Who, when he had found one pearl of great price, went and sold all that he had, and bought it. Dekker’s diction was precise but somewhat challenging for average readers. Nevertheless, this novel is a good one, especially because it gives us a perspective on the Gospel that is quite easy to grasp. Maybe this has something to do with the fact that, being a means of conveying the message of truth, it follows the “parable tradition”. Somewhat.